Brandon Michael Barker of ManOrMonster? 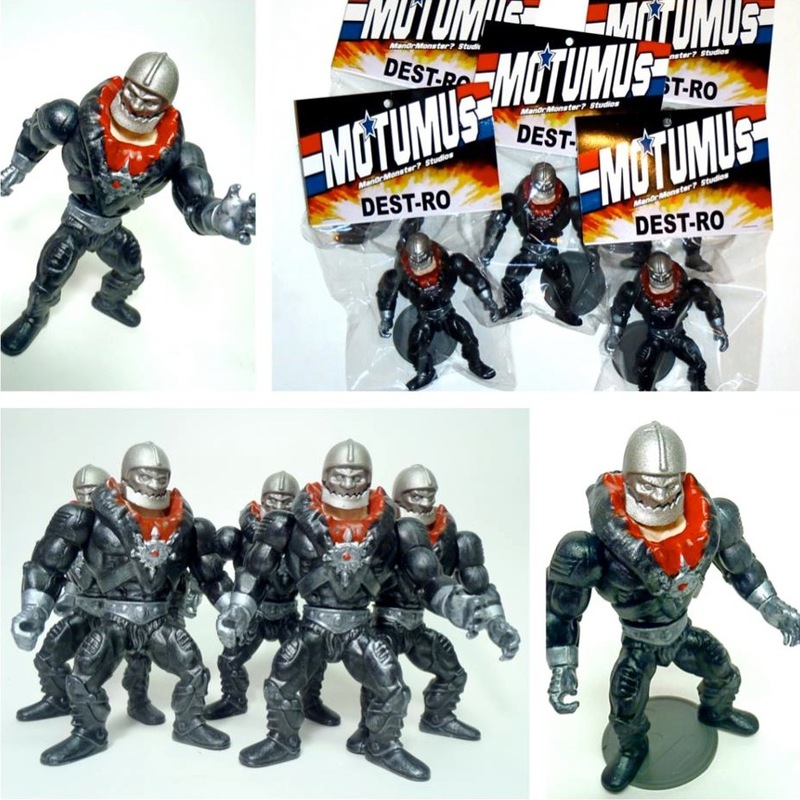 Studios is proud to present the first of a staggering 4 new toys that he’ll be premiering at Clutter’s (In)action Figure Show next week… the Dest-Ro MOTUMU! (Masters of the Universe Mash-Up) As with the Shadow Trooper we posted a couple of weeks back, the latest MOTUMU has been booted from various action figures (including the head of Trap-Jaw), featuring 5 resin cast pieces with neo-magnet joints that can be fully interchanged with ManOrMonster?’s other neo-vintage line, the Warlords of Wor. Taking inspiration from classic 80’s toy line GI Joe, the figure features the same silver, red, black and yellow colour scheme of nemesis Destro, coming complete with authentic Joe-styled header… Limited to just 5 pieces at the show, Brandon will thankfully be adding more to the ManOrMonster? store soon after. Stay tuned for more reveals next week! Saturday, January 12th, 2013 from 6pm until 9pm at The Clutter Gallery, 163 Main St., Beacon, NY 12508. The exhibition will be available for viewing through February 2nd, 2013 and online, where pieces from the show will be available for purchase. This entry was posted on January 5, 2013 by trutek. It was filed under action figures, bootlegs, exhibition, resin, retro and was tagged with bootleg art toys, Brandon Michael Barker, des-tro, destro, gijoe bootleg, manormonster? studios, motu bootlegs, motu custom, motu mash up, motumu, neo vintage toys, resin action figures, resin art toys.